Many Credit Unions come to with the challenge of creating leads or measurable revenue from Social Media. Here is how the right content can help you to "close the sales loop" using your Online Marketing and Blogging efforts. Fresh, compelling content attracts people to your brand, and gives you the opportunity to showcase the services you offer. Social media plays a huge role in everyday life, and credit unions should be taking advantage of all it provides. The effect of social media on credit union revenue is a difficult figure to track, and the one that C-suites want to know the most. Marketing typically hasn’t been a huge investment for credit unions, but with traditional media, no one asked, “How many loans did this print/radio/TV ad bring in?” Following the advent of digital marketing, and social media in particular, all marketers hear is Cuba Gooding, Jr. and Tom Cruise screaming, “Show me the money!” as in the movie “Jerry Maguire.”Stepping back and looking at overall trends, however, credit unions can catch a glimpse of the success of their overall programs. The $240 million AERO Federal Credit Union is a prime example of success using content marketing to drive dramatic loan growth, Meredith Olmstead, founder of Social Stairway and a strategic partner of Today’s Credit Unions, explained. After implementing a digital content marketing and social media plan, AERO grew its home equity loans by 93% year-over-year and auto loans grew 40%. While not all that growth is rooted in the content marketing plan, educated assumptions about all the moving parts tell you it was certainly a significant piece of it. Social media, content marketing and digital marketing provide key pieces to carrying members along the sales-marketing funnel. First, there’s the brand recognition that comes from newsletters and social media posts that drive traffic to your credit union’s site. They arrive at your educational content – either written in-house, outsourced to a company like Today’s Credit Unions, or some combination of the two – that aligns with the company’s goals, whether growing auto loans or HELOCs. Content that’s helpful to the consumer helps the credit union earn trusted-advisor status. And adjacent to that content is the digital advertisement that links to the credit union’s promotional effort. Performed in an integrated manner, these methods can provide credit unions with valuable leads that your credit union should be prepared to convert. Your website is your digital billboard, but that doesn’t mean it’s static. As a best practice, credit unions should update daily with fresh content, giving consumers a reason to keep coming back to your site and organically improving SEO. SEO is the acronym for search engine optimization, which is how Google and other search engines find you when people are searching online. These pieces together nudge the consumer further along the buyer’s journey, Olmstead said, and incent them to leave the platform they’re on to visit your credit union’s website. Getting an accurate measurement of the ROI is tricky, she agreed. Olmstead recently attended The Financial Brand Forum, and recalled a speaker from Google who said tracking conversion is difficult even for Google, because the vast majority of interactions begin on one device but are completed on another. For example, consumers may begin researching an auto loan on their mobile phones during their lunch breaks, but end up applying for the loan two days later on their home PC. Add to that, Olmstead pointed out, research demonstrates consumers usually take eight to nine sources of information into account when considering banking products, including friends and family, that reach beyond the online world. The $349 million Peach State Federal Credit Union is another credit union that is increasingly bolstering its digital presence through outsourced content marketing and in-house social media, and seeking ways to measure its success. Kristen Patton, SVP of marketing at Peach State, said the credit union knew it needed a robust content marketing and social media plan to educate members about the credit union’s brand, products and services. Considering the lack of public awareness around credit unions and what they do, it’s a definite need for credit unions. The CEO supported the marketing strategy, and now Marketing Manager Heather Griffin executes on the program. Griffin’s general rules for content and social media are: 1) Establish a content calendar that aligns with the credit union’s overall goals; 2) keep content 80% educational and 20% sales and marketing; and 3) create multiple posts a day on Twitter due to tweets’ short lifespan, one to two daily posts on Facebook and Instagram, and fewer on LinkedIn. As far as obtaining their goal of member engagement, they do receive contacts through their social media channels, and direct members with issues or feedback quickly to the person responsible. Patton shared a story in which a member was having difficulties with a debit card, and reached out to Peach State through social media. Because it was being monitored, the COO was contacted and went in late on that Sunday night to fix it. Talk about generating member loyalty! Still, Peach State is not yet tracking the program’s success with hard and fast numbers. Member data is in one spot and social media data is in another place, Patton explained, but they are working to better measure the ROI. Make Our Content, Your Content on Biteable. Sharing TCU’s December 4th article on protecting your credit score during the holidays does a wonderful job of highlighting one of the founding principles of all Credit Unions, MEMBER SERVICE. It it in every member’s best interest to make responsible financial decisions all year, even during the holidays when the pressure is on to spend, spend, spend. 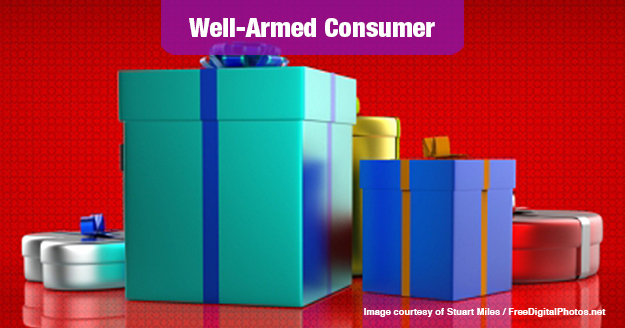 This article is a nice summary of tips that will help consumers stay on track into the New Year. This article also references the need to avoid taking out new high interest credit cards during the holidays, when cash can often be in short supply. Consider linking to any Visa promotions your CU might have going at the end of the article and also make reference to these lost interest credit options when you share this article on Facebook or other social networks. And don’t forget to link to your Visa page at the end of the article!